The first major awards ceremony of 2018 took place this past weekend with the 75th annual Golden Globes. We were pleasantly surprised in the variety of animation nominations this year, with both The Breadwinner and Loving Vincent up for Best Animated Feature alongside Coco, Ferdinand and The Boss Baby. It was perhaps inevitable that Coco would win in the end, with this win expected to be replicated across all the major awards this year. In fact, this marks the Pixar film's 40th win (mostly from various critics associations and circles) so far. Lee Unkrich's film lost out in the other category it was nominated in, Best Original Song, where it was nominated alongside songs from fellow animated movies Ferdinand and The Star. Ultimately though all three lost out to a song from the year's big live-action musical The Greatest Showman. Elsewhere, review aggregator site Rotten Tomatoes revealed their Golden Tomato Awards which feature the Best Reviewed films of the year across RTs sample of critics. 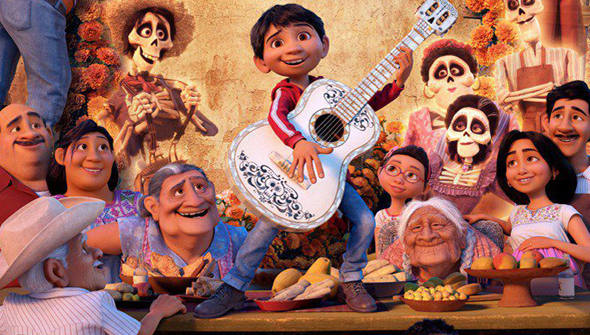 In the Animated Movie category, Coco scored another win here too. Unlike most conventional awards ceremonies, however, here a top five list is included in each category. Next stop: The Annie Awards?